What is the firm culture? 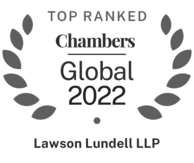 Lawson Lundell LLP's culture is based on a tradition of collegiality, team work, mutual respect and superb client service. Put simply, it is a nice place to work. 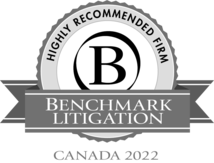 Our staff, students and lawyers are often surprised to find that a firm of one hundred plus lawyers can feel so comfortable. Our lawyers have open doors and questions are always encouraged. 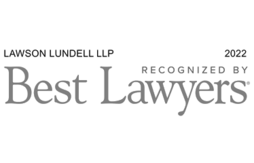 Lawson Lundell is committed to meeting the expectations of our clients in a timely way. While we strive to maintain a healthy balance between work and our personal lives, we understand that excellent client service may require us to help out at times when our colleagues need us. However, we are not a firm that requires "face time" just for the sake of being here: when the work is done, and done well, we encourage staff, students and lawyers to spend time with family and friends outside of work. We hold various social events during the year. While attendance is encouraged, we don't expect everyone to attend all events unless they wish to do so. We have an annual winter holiday party, firm dinners, golf tournaments, a semi-annual retreat and ad hoc sporting events. Every summer the students and the lawyers square off against each other in a friendly soccer match. We participate in community events such as fundraising for the United Way, the CIBC Run for the Cure, and the BC Children's Hospital Foundation. We encourage everyone to take part in social, athletic and community activities both within the firm and outside it.